Fittingly for a casino that loves its nautical theme, the latest Casino Cruise promotion offers a luxurious sea-faring trip to one lucky player. You and a friend could be relaxing in five-star conditions as you set sail on a Canary Islands cruise. All you need to do is play at Casino Cruise and build up entries for the prize draw. Casino Cruise is a new casino site that offers the ocean liner casino experience from your computer or mobile device. As such, this latest Casino Cruise promotion is the perfect fit for the site and the lucky winner. Find out how to win the A-list cruise from Casino Cruise, what the prize involves and why the site is a great place to play in this article. The Casino Cruise promotion prize is pretty special. You and a guest will earn a ten night cruise around the Canary Islands, setting off and finishing up in Barcelona. 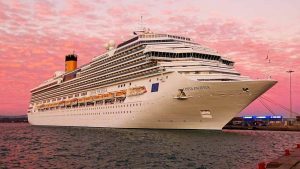 The cruise package is worth a might $800 in total, and during the voyage, you will cruise from the Catalan coast to the Spanish islands in the Atlantic Ocean and back again. Sit back, relax, soak up the sun on deck and allow the attentive staff to satisfy your whims. As the boat cuts though the azure sea, you will be able to enjoy onboard entertainment, delicious food and drink and, of course, the thrill of playing at a casino on the ocean waves. You set sail from Barcelona, one of the most exciting cities in Europe. From there, you stop off at Casablanca in Morocco, before heading to Las Palmas on Gran Canaria. After that there is a short hop to Tenerife, followed by Madeira and back to Malaga, then Alicante on the Spanish mainland. 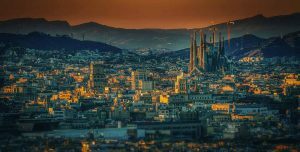 The last stretch takes you back to Barcelona, home of La Sagrada Familia, La Rambla and more. You need to sign up to Casino Cruise and play your favourite games. It really is that simple. For every £50 you deposit and play through at Casino Cruise before Friday 31st August 2018, you earn an entry to the prize draw. Each ticket you earn has as much chance as any other of winning, but of course, the more you earn, the better your chance of heading onto that magnificent cruise liner. Entries close at 23:59 GMT on 31st August and the prize draw takes place within five working days of the closing date. Casino Cruise contacts the winner by telephone. If you do not respond within 72 hours, you forfeit the prize and the casino picks another ticket from all of those entered. Alternatively, you can take a $800 cash prize instead of the cruise. If you opt for the cash payout, the site places it directly into your play account. This amazing Casino Cruise promotion is not the only reason to play at this new casino site. For a start, there is a fantastic welcome bonus on offer. Casino Cruise offers a 100% first deposit bonus match up to £200, with 200 free spins added into the mix. You need to use the spins on NetEnt’s popular Starburst slot. There are also bonuses for your second, third and fourth deposits too. In total, you can claim up to £1,000 in bonus funds and 200 spins. Aside from its bonuses, Casino Cruise offers a gigantic selection of games. There are more than 1,300 titles, including one of the biggest slots selections of any UK casino sites. However, there is an abundance of table games and live dealer tables too. In keeping with the glamour of playing in a real casino on a cruise ship, this is no less than you would expect. The branding of the site is spot on too. Everything fits neatly into the nautical theme, making this a fun and beautiful place to play casino games online. There’s a decent VIP scheme (based around various suites on a ship) and withdrawals are quick. Take a look at the full Casino Cruise review in the New Casino Sites section. If you want the chance to win a ten day Canary Islands cruise from Casino Cruise, visit the site now. Just opt in to the promotion and begin depositing funds into your player account. For each £50 you put in and play through on the selection of games, you get an entry into the draw. You could be getting that call from Casino Cruise just as the summer begins to wind down. Imagine hearing that you that you have another chance to chase the sun. It could be time to pack your case and slap on the factor 50 soon enough! Don’t forget to pack your sealegs and get ready to sail the seas with the latest Casino Cruise promotion.